I really didn’t know what to do or how to apply the knowledge I found on my own. There was no real order to anything and I was finding endless amounts of information and I was constantly overwhelmed. And I did this for over a year and still didn’t know where to begin. No, let me rephrase that. I thought I knew where to begin, but I didn’t. And the cost? How many thousands of dollars would it cost for my education to become a lawyer or a doctor? How many loans would that take and how many years to pay that back? The cost for a top notch internet marketing course would be nothing compared to that and could be done without any loans. I started thinking a little more realistically. If I truly wanted to make my career in internet marketing and make it my living, then I should treat it as such and get the necessary education. From my research I found that I would have a shorter period of internet education compared to college for the other careers and potential to make way more money in the long run! Duh! I had already wasted over a year trying to be Mr. Smart Guy Know It All and do it on my own. If it’s going to be your living, do it right. Period. yet, but I can see it in the near future. And as far as the education goes, I’m still at it. I enjoy the learning and can’t get enough. And I decided to stay around and help others wanting to do the same. It’s structured and I’m surrounded by folks that have years of internet success under their belts and an awesome community of like-minded people who are all helping each other reach their life’s dreams. And guess what? I’m not paying thousands of dollars and getting loans and going deeper in debt to learn. I’m paying $49 a month to learn the fastest road to success on the internet and make more than any lawyer or doctor and with a LOT less stress! What a no-brainer. So the ultimate answer? Yes, you should pay to learn internet marketing. It is a business. It could very well be your living and how you support your family. So, give it the respect it deserves. Get the right education and get it right the first time. If you go into it with the mindset, “I’ll try this out and see how it goes”, then you’re setting yourself up for failure. That’s all you’ll do is dabble a bit and move on. But, go into it with the mindset of, “This is what I want to do for my career so I can spend more time with my family, travel while I work, be my own boss,” then you will succeed because you’re not just “trying” something. This is going to be your living. Your family is depending on you. Get your education just as you would if you were going to be a doctor or a lawyer. Believe me, it WILL pay off. And after all my research to find the right education platform, I ended up with Wealthy Affiliate. Believe me, there are lots of scams out there, so please do your due diligence and make sure who you find can and will deliver. I know mine does and if you’d like to see a review of them check it out here. This is a great platform for learning and succeeding. They pull no punches. You can even start for free to make sure it’s for you. And no up-sells like all the rest. Either free membership or premium membership. Your choice. I hope this helps you make the right decisions and I always look forward to your thoughts and comments. If you’ve found a great education platform that you love besides mine, please let me know. I’m always looking for legit websites to share! You are absolutely right, Grant. There’s tons of information out there for anyone who wants to search for it, but the question is, “What do you do first?” And you can make all the mistakes out there and learn by trial and error. But why do that when you can simply sign up for a FREE membership at Wealthy Affiliate risk free? If you don’t like it, fine. Just walk away. If you want to continue and take it to the next level, upgrade to premium. Or you can take stay a FREE Starter member forever, taking advantage of the live chat and great community of people there. I can’t think of a single person who wouldn’t benefit from a Wealthy Affilaite membership. Hey Andy! Yeah, WA is truly a no-brainer! The free part of it doesn’t not make it a true educational platform. The free part is so you can get inside and see first hand what they have to offer. It’s like going to a college campus before enrolling to see how you like the layout. WA is truly a University! Great post on the importance of paying to learn about Internet marketing Grant, you make an excellent point. You can only learn so much from free courses and Google, but it comes to a stage where you have to invest in yourself. All of the successful mentors that I follow have spent thousands upon thousands of dollars in self-education, and I am getting up there myself. One example is my step-daughter here in Australia has hexed a business degree for over $40,000, but for some reason, people believe that they should be able to learn Internet marketing for free! It just doesn’t work that way, you have to invest in yourself! That’s right John! It took me a bit over a year of studying and practice to get to where I started making an income that was making a difference in my monthly finances. On top of education, it takes a lot of patience and work. But, the payoff is tremendous! Thanks for stopping by! Another great post with valuable advice. You have a site here which offers tremendous value to new – and not so new – internet marketers. I like the fact that all your links offer opportunities to discover tools which will help those who want to move on to the next level. Thanks John! That’s the whole idea of my website is to help folks find the best tools and ways to make a living from the internet. I know it is a slow process and I’m still progressing but wanting to help others save some steps. Yeah I’m with you. 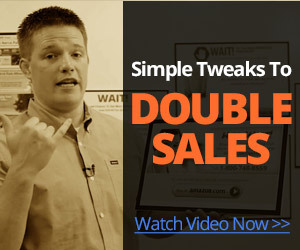 My favorite program online that I have found so far is Wealthy Affiliate. I’m here for any of your referrals if they need help with anything. Wealthy Affiliate has it all. And they have the support and they genuinely want to see you succeed. And at a fraction of the cost of college! Spot on, Grant. 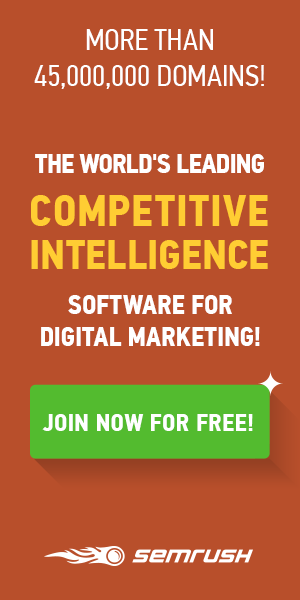 People can do this internet marketing thing for free. IF they have lots of time and energy to waste. But the best route is to treat it like a business. Develop a plan and focus on the right things. You are correct, there, Glen! Unfortunately, the folks that are usually wanting to get into the internet marketing arena is wanting to get away from a job they don’t like or wanting to be able to be home more and already are short on time and energy. So, treat it like a business like you said, and get the correct education to move forward! Thanks for stopping by! Previous PostPrevious Ad Link Tracking; You’re Losing Money If You Don’t!